The NW Corner of the NE Quarter of Section 31 in Township 145 N, Range 91 W Halliday, Dunn County, ND. 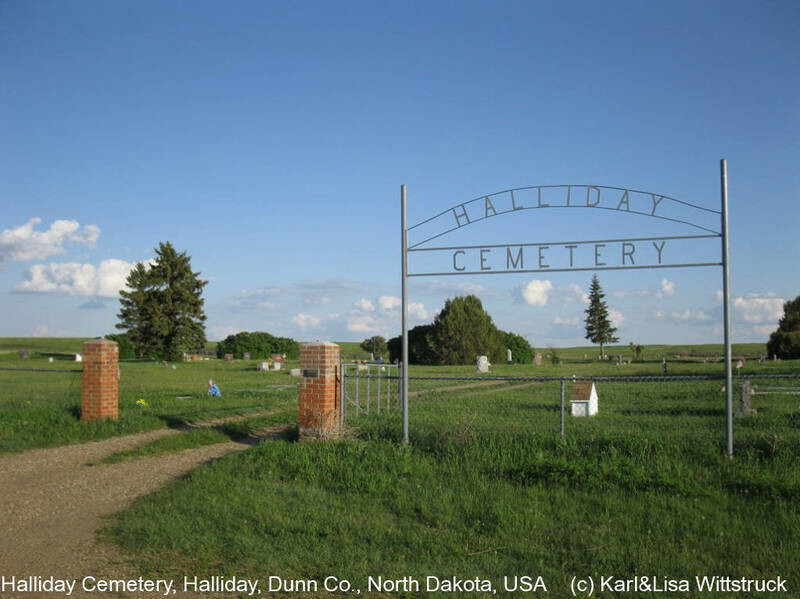 This cemetery is located 1 mile east of Haliday, ND. The cemetery grounds are actually a combination of 3 cemeteries: St. Paul's Catholic Cemetery, Our Saviour's Lutheran Cemetery, and St. Paul's Lutheran Cemetery.